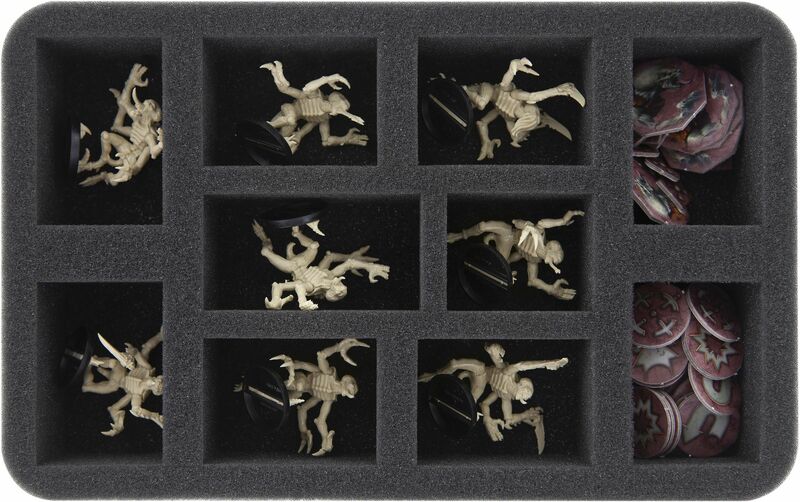 The green Magnetic Box including foam tray for the Genestealers Kill Team "The Writhing Shadow"
The Tyranids are a gruesome, never-ending swarm of predators who are completely unfamiliar with concepts such as diplomacy, conscience or emotion. Their only purpose in life, their only goal seems to be killing and assimilating every living being that gets between their claws and into their fangs. Since their most threatening weapons are also the most sensitive parts of the miniature, you should carefully store and transport your xenos brood outside the Kill Zone. 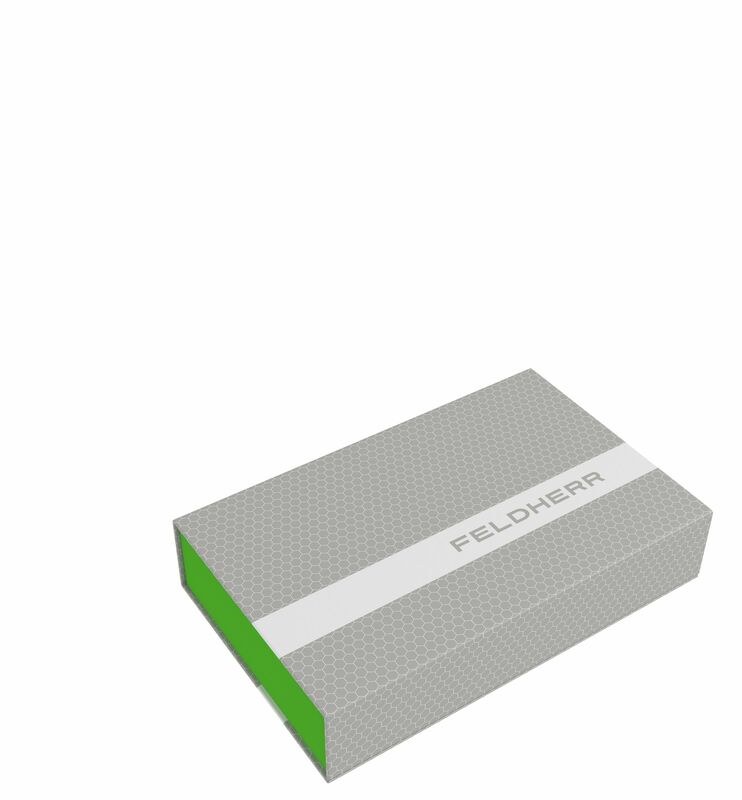 That's exactly why we created this handy Magnetic Box including the suitable Half-Size foam tray. The mat is divided into 10 compartments, in which the figures get their safe space. Surrounded by foam, the alien miniatures are optimally protected here. Thanks to the miniature-precise cut compartments, rending claws and scything talons are preserved from damage. It also prevents the figures from slipping around or colliding during transport. This keeps the colors of painted Genestealers models from flaking off. 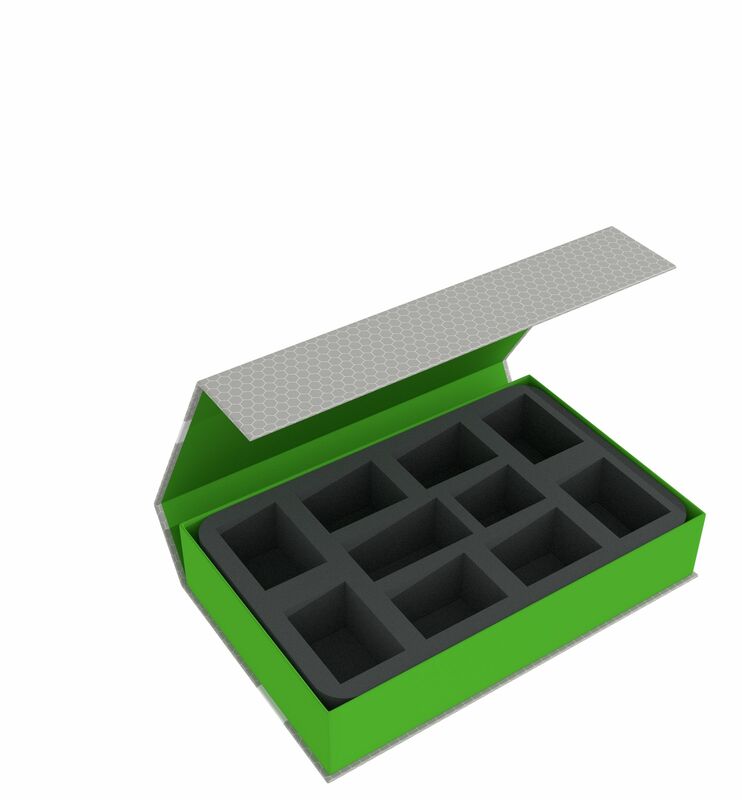 Additional 2 compartments also offer space for game material or to enlarge your team with two more miniatures.